To remember as well as celebrate the life and times of our DCGIA Co-founder, past president and friend Bobby Mann. Please join DCGIA as the family welcomes friends and associates to visit on Saturday Oct. 3, 2015 from 1:00PM to 3:00PM at 4111 Rocky Mount Drive, Temple Hills, MD 20748. William R. (Bobby) Mann was born on November 23, 1936 and passed away on July 20, 2015. Son of the late William S. and Virginia M. Mann, he was preceded in death by his second wife Kitty and his brother Earl. William R. (Bobby) Mann, (GG) Graduate Gemologist (GIA) (1982), a (PG) Professional Gemologist Columbia School of Gemology (1983) and published ivory identification specialist. He was co-founder of the International Ivory Society (1996). Past President of the National Capital Area Chapter of the International Society of Appraisers and past president and founding member of the Washington, DC Chapter of the Gemological Institute of America Alumni. Bobby was a collector of unusual ivories, tusks, teeth, skulls, natural and manufactured ivory look-a-likes. He had the largest collection of natural ivories, as well as natural and manufactured look-a-likes, which Bobby made available for hands-on teaching. 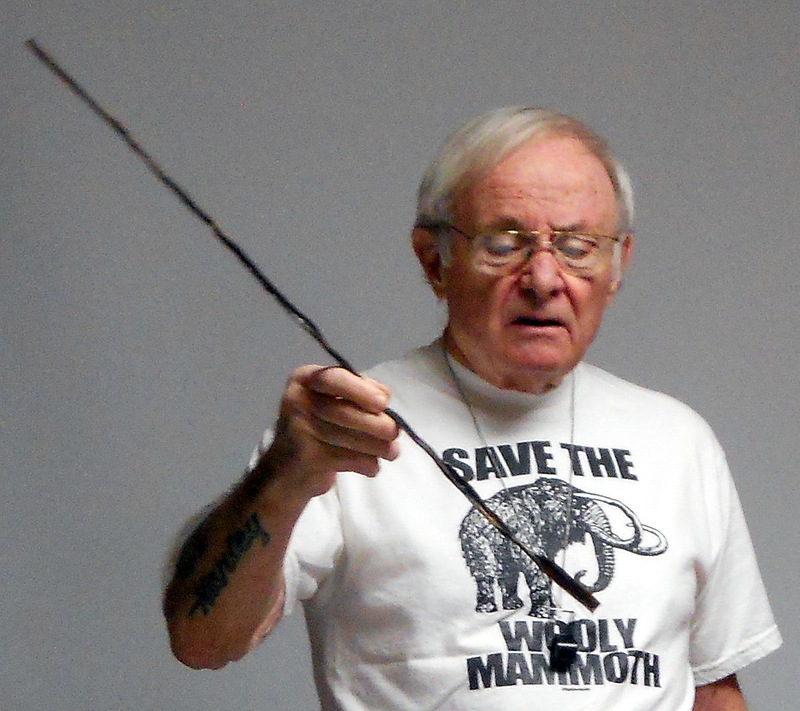 Since 1996 Bobby had dedicated time to teaching ivory identification through his talks, seminars and hands-on workshops. He was also the manufacturer of Ivory I.D. comparison kits, and Author of Ivory Identification – A Photographic Companion, available from Amazon.com. Retired as a Captain in the Washington DC Fire Department after 28 years of service, he was also in the U.S. Navy Reserve from Nov. 1954 to Nov. 1962. A dirt track motorcycle racer in the 1950s, Bobby was a true Harley enthusiast. Surviving is first wife Barbara, son Mark, grandchildren Mark Jr. and Nicolas, great-grandchildren Maddie and Mason, step-son Jack Houchins, sister-in-law Christine, nephew Eric and niece Melanie Mann. Also surviving was his final love and helpmate Theresa McGowan. This entry was posted in Meeting Archives and tagged Bobby Mann, Ivory Identification. Bookmark the permalink.